The Edmonton Oilers’ only move at the trade deadline was to ship Jeff Petry out East in exchange for draft picks, a move which makes one of the weakest defensive groups in the NHL weaker still. And yet, in his press availability yesterday, general manager Craig MacTavish once again praised the players currently comprising that group. This is a comment that deserves a deeper look. The top pairing of Oscar Klefbom and Justin Schultz has figured prominently in MacTavish availabilities over the last while. He cited them earlier in Monday’s press conference as an example of the team moving in the right direction, he defined them as “a real good pair” a week earlier, and a month prior on Oilers Now he made a point of praising Klefbom’s impact on Schultz. He’s right, but it comes with some caveats. Todd Nelson has had seven regular defencemen under his watch. Klefbom and Schultz rank 1-2 in quality of teammates, with a big drop to Ference at 3. There isn’t a big spread in quality of competition, but they do rank fifth and sixth, respectively. Schultz starts 64 percent of his non-neutral zone shifts in the offensive zone, Klefbom 61 percent and nobody else on the team is higher than 46 percent under Nelson. All this and Klefbom’s Corsi number is sitting at 50.5 percent and Schultz’s at 49.7. Don’t like the numbers? We can put it plainer: They play with the Oilers best forwards, they get a big push in the offensive zone and they aren’t asked to shutdown top opponents. All this and (on a bad team, admittedly) they’re only flirting with break-even in terms of on-ice shots and goals (Schultz is minus-2, Klefbom minus-5) under Nelson. What about Nikitin being a top-four defenceman? Let’s look at his role with previous NHL teams. 2010-11, 20th-place St. Louis Blues: 16:23 TOI/game, seventh of seven regulars. 2011-12, 30th-place Columbus Blue Jackets: 23:34 TOI/game, third of seven regulars. 2012-13, 17th-place Columbus Blue Jackets: 21:11 TOI/game, fourth of seven regulars. 2013-14, 14th-place Columbus Blue Jackets: 17:06 TOI/game, seventh of seven regulars. If we write this season off owing to Nikitin’s poor conditioning (and seriously, since when is any player, let alone a massively expensive UFA hire, just allowed to play his way into shape?) the evidence still doesn’t suggest Nikitin as more than a No. 4 defenceman. He was once a No. 3 on the worst team in the NHL and that No. 4 rating came with a below-average team in a lockout-shortened year, so we’re being pretty generous with that No. 4 rating, particularly since his most recent non-Edmonton experience is as the No. 6/7 of a playoff bubble team. So if we tilt our heads to just right the angle and squint it almost looks like Nikitin could be a complementary second pairing player on a middling team, if he bothers to show up in shape next season. Mark Fayne hasn’t had a great year by any measure, though he’s a guy whose level of ability I don’t worry about too much. New Jersey used him in pretty tough minutes as a complementary piece with a good two-way guy (Andy Greene) and his role has become much tougher in Edmonton. Under Nelson he and rookie partner Martin Marincin (more on him in a moment) have led the team in quality of competition, come in dead last in quality of teammates and done it while hovering around the 40 percent mark in terms of zone starts. Give Fayne a little help and stop throwing him to the wolves and I suspect he’s just fine. 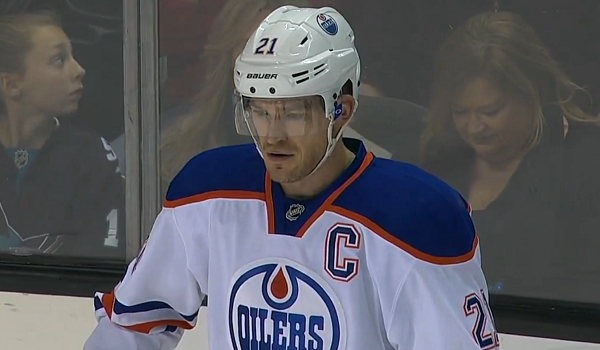 There’s a little more reason for concern in the case of Andrew Ference. Ference has had a rebound year in some tough minutes after being partnered with Jeff Petry. Prior to joining Petry, he struggled badly on a pairing with Justin Schultz. We’ve seen this with Petry before – Ladislav Smid has imploded since being moved to Calgary and other partners while Marincin (again, more on him in a moment) went from playing well in a shutdown role to exile in Oklahoma City after being separated – so if Ference struggles over these last 20 games we shouldn’t be surprised. My guess is that without Petry he can be useful in a third-pairing role if he isn’t asked to do too much heavy lifting. Then there are the prospects. Twenty-two year-old Jordan Oesterle, who has a proud 56 games of professional experience under his belt (including his two most recent games in the NHL) should absolutely be returned to the minors next year unless he really blows the doors off the rest of the way. The Oilers have made indications in recent months that they want to start giving their prospects more time; a guy like Oesterle who they clearly like will be a good test. 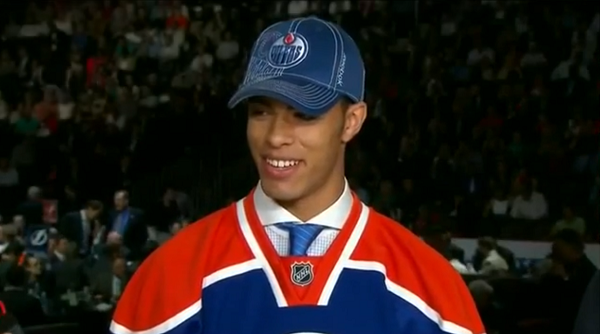 For that matter, so will blue chip prospect Darnell Nurse, who can’t be hurt by starting next season in the minors but will be tempting given his obvious raw talent. Brandon Davidson delivered reasonably competent fill-in play when he was last with the team and unlike the other two guys on this list has served a long AHL apprenticeship. I spent a lot of time watching him last year and he’s a reasonably good defensive defenceman but he has a limited ceiling; my guess is that if he’s put on waivers next year he clears but he might show something down the stretch here. The thing all three of those guys have in common is that none of them should be counted on for next year’s blue line. That brings us to Marincin. We’ve talked a lot about Marincin, and understandably so. The 23-year-old has some flaws, but he also comes with a wide range of skills, including size and speed and smarts. He’s had a long apprenticeship to round out his game; he’s at 210 professional games and over half a season in 2013-14 proved himself as a guy with legitimate top-four potential. The problem, of course, is that he didn’t make MacTavish’s list. 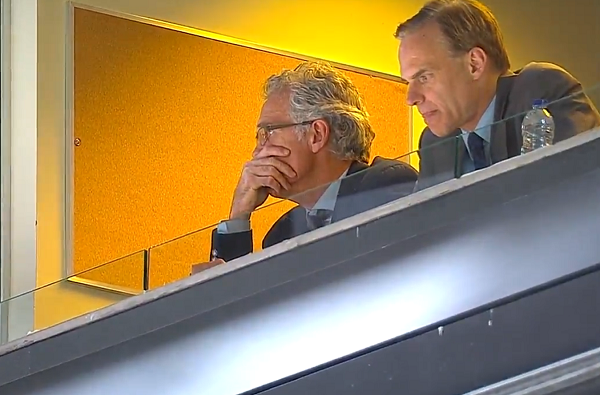 MacTavish doesn’t talk about Marincin publicly; the last time I can find the general manager (in my reasonably complete but non-exhaustive archive of transcripts) spending a lot of time discussing the defenceman was out of training camp when he was explaining why the Oilers needed to keep Brad Hunt on the roster over the young Slovak. MacTavish did speak repeatedly in his most recent availability about competitiveness, a quality that Edmonton’s managers clearly value to a tee; unfortunately Marincin isn’t a guy who exudes that quality on the ice (neither is Schultz, but he always weirdly seems to get a pass on these things). Todd Nelson has talked up Marincin’s competitiveness in recent days; one suspects the interim coach is the player’s most dedicated advocate in a position of power. Edmonton tends to telegraph its moves long in advance, as it did with Petry. Right now, the team is signaling that it doesn’t particularly rate Marincin. I see [the need for] three or four pieces, significant pieces going forward. With the development internally and with a few significant changes – obviously changes are necessary – I think this group can really move forward and I see a group that’s worthy of our support. They’re a highly competitive group. I have not seen the team compete and play for each other at the level that I’m seeing right now. I think Todd gets a lot of credit for that but a lot of the credit for that goes to the players. There’s a lot of ifs in those projections, and even still it isn’t a group I’d particularly want to go to war with as a general manager. 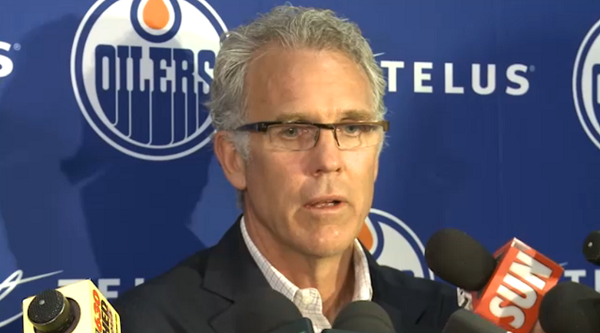 It’s going to be an important summer for Craig MacTavish and the Oilers’ blue line. If he has something up his sleeve, the team might improve markedly. If, on the other hand, he really is comfortable with what he has than he’d be well-served taking a few minutes to polish up his resume. People in Edmonton especially the advanced stats media guys and believers WAY OVERVALUE Petry. He’s a #4 Dman on most teams. I know exactly what is going to happen with Petry in Montreal. Petry is going to go there. He’s going to play less minutes, play in less tough situations. His numbers are going to look good. All the advanced stats media guys like Willis, Staples, Lowtide, McCurdy are going to post articles with their charts and say “see, see look at how good Petry”. They are going to go on the radio and say the same thing. They are going to have guests on the radio like Lowtides buddy Dennis King that go on and on about Petry. Then Oilers fans are going read all of this,hear all of this and get all pissed off and go “stupid Oilers, let another good player go”. All the while, it gets to be left out that Montreal happens to be the best team in the east. They just so happen to have a top 3 in the league, Olympic gold medal winning goalie in the net cleaning up every mistake Petry makes. They just so happen to have a top pairing, norris trophy winner in Subban. They also have another top pairing on pretty much every team in Markov. All of that may briefly be mentioned in passing but the “underlying numbers” will be drilled into our heads about how wonderful Petry is and many Oilers fans will lap it up. I think the Klefbom jersey sales will be increasing substantially over the next couple years. Each summer I keep hoping the Oiler’s have something up their sleeve. Then I get a little hope with some disappointment and think they have something up the other sleeve as we go through training camp. I’m thinking MacT wears tank tops. I think my optimism is gone till I see something bold and that’s not having anything to do with this year’s draft or Nurse. 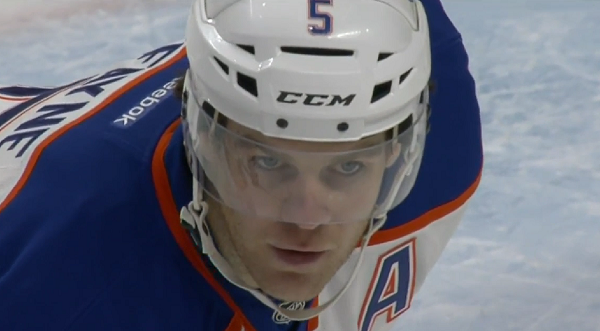 Worse is that it’s starting to looking like they’re going to “Draisaitl” Nurse and pencil him in for next season. If I remember right Willis, you watch about 20 Barons home games at the beginning, didn’t watch any away games. In fact you told me you get more information about a player by just looking at the stats, didn’t have to watch a game. Did you really see Davidson play, I highly doubt that, because as we both know he had a slow start last season, the latter half he was the Barons best D, but you didn’t see those did you. As fans will find out, Oesterle will get eaten up, unless he has a big physical D paired with him, he might be a reasonable 3rd pairing D, but do the Oilers need a soft D, with no big shot. Musil is the kicker, yes his skating needs work, but he skates better than Aulie, good head on his shoulders and a good breakout pass, and a good hard shot (needs to use it more). The big thing he’s that big body that keeps the front of the net clear, something the Oilers have little of. Musil will never be that top 4D, but he will be a very good 6/7D that is good on the PK. Nurse is the unknown, with the Barons it wasn’t a pretty sight and his D game needs work, best bet he gets at least a full year in the AHL, thats if the Oilers are smart. I’m not even angry about the Petry trade. It could have been Petry’s doing all along, who really knows. I’ll chalk it up to 50/50 blame. 50% to Petry for wanting out/wanting to test UFA, 50% to MacT for feeling like he would have to overpay badly to keep what he feels is a #4 D so he got what he could out of it. What I’m angry about is when everyone and their dog knows the Oilers need two top pairing D and with so many top pairing D getting moved yesterday, with term left mind you, why didn’t MacT get any of them? Heck even Gudas is probably better than any D the Oilers have and he was just a small part of the package for Cobourn(a guy who the Oilers have been after for a long time). We probably can still get those players in the summer for a little less when teams have to shed off players to keep under the cap. 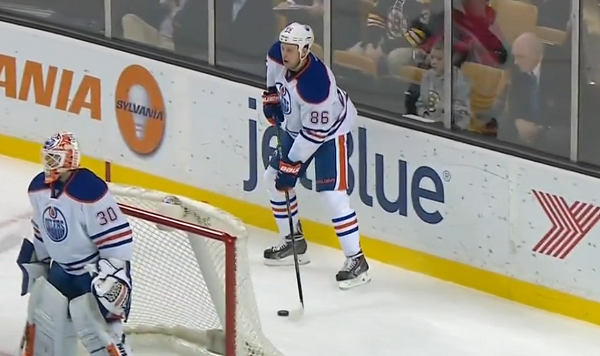 The Oilers are so happy with their current D why would they be looking? Also, why do anything to potentially screw up your tank job? Finally, you’re so enthralled with and overvalue your own, and enamoured with futures, you’d never be willing to make a half-decent offer to get in the game. You got what you deserve. I’m not here to defend the Oilers because the management has really screwed up a lot of things. By there own doing, they have put themselves in a hole and now have to come up with ways to get out which is going to be extremely difficult. But I do roll my eyes when people shred the Oilers for “not getting enough” for Petry. Hindsight is really easy for us to all grab on too. In a perfect world, it appears they should have signed him years ago when they could have had him for cheap. However, regardless of what the advanced stats guys say when they cling to his “underlying numbers, his play didn’t warrant a lot of faith from the team. Saying he is the “best dman” on the worst defense in the league doesn’t mean squat. As much as I dislike a lot of what Oilers management have done and said, if I was the Oilers GM, I would have had a hard time committing to Petry long term based on his body of work up until not even 2 months ago. When it comes to the trade and what the Oilers got. People really need to stop and think about it for a second before they fly off the handle. Go look at a lot of teams depth charts, especially the teams that would be “buyers” at the deadline for a UFA. I am having a hard time finding too many teams where I can confidently say “oh yeah, Petry is better than that guy” when it comes to sliding into their top 4 being that he is at best a #4. If you want a sobering thing to look at when it comes to Petry. Look no further than 3 hours down the highway. Who is Petry better than, that we would slide into their top 4? Before Gio got hurt. Gio and Brodie are the top pairing. Then they have right shooting, Wideman with his 12 goals and 37 pts. Not a chance in hell Petry takes his spot. They aren’t going to break up the top pairing so unless he’s going to play on the left side, which would be stupid, that leaves him in the 3rd pairing on the mediocre, playoff bubble Flames. Its possible that the”limited action” and only the most obvious came into play, is because MacT and and Lowe were advised not to make any roster changes until further notice. are in play for end of season.? lenses [serious] for clear ones. Visually, this looks like another lottery finish. No kidding. The great part about it is assuming MacT gives Schultzy a big Norris-esque raise, our bottom 4 will take up about 15 million of cap space. And that is only because Klefbom will still be on his entry deal. Add another 10 million for Fayne and Free Agent X and 35 percent of cap space (based on a cap of 70 million) will be utilized on what will probably still be a very below-average D. Well done MacT. Well done. The trade deadline has come and gone. MGT has not improved the team. The upcoming draft will be Macts third draft. The holes left to fill are the same as last year, and the year before that. Wait for trade deadline, wait for draft, wait for free agency, wait for off season. Wait. Wait a minute, what is going on here. Oh, it’s sad when you look at it logically. Please don’t mention Petry anymore, it just makes me cry. Let’s keep it real. MacT’s comments are filtered for public consumption. The players don’t need his honest assessment on a perpetual loop on SportsCentre. His comments are disheartening and follow the same trend as those after Eakins was fired. They are what you would expect from Buf or Arz this year or the Oilers 5 years ago. At every opportunity this year MacT has confirmed how little progress the rebuild has made. The significant pieces today are the same as they were 2, 3 or 5 years ago. There are no internal options to adequately fill those voids in the next year or two which leaves two options – fill them externally (UFA or trade) or accept another season of being a bottom 5 team. MacT is a really bad GM and this latest statement indicates that he needs to be fired. The good GM will admit the mistake, fix it and then move on. NN was a very obvious mistake and since he signed him to that big contract that he will stick with it. Much like how he was sticking with Eakins until the Oilers season were over by December. Petry got traded????? Shows how much I care. People saying to me that Sather has demolished the Rangers hopes for the future by ‘throwing’ away picks for players. These are the types of approaches we must take here (and draft) through trade to improve. Our old coach, of our old players, still schools our old players. Sather be so bold…Rangers like others, utilize later round picks better than teams in search of coke machines and sparkly gems. I think we should stay put with our goaltending for now and focus on getting actual NHL defenseman and a top 2C. Any goalie would struggle with this blue line and we should judge scrivens and fasth when they finally have a solid blueline defending them. Judging from what MacT said about who he’s comfortably with going forward, i have no faith in him improving our blueline at all. The three blind mice can assess talent better than him.